The days are past when printers used to set the fonts and compose pages mechanically. Today, a revolutionary change is being witnessed in printing. For one, the cost-effective printers that make high-quality digital printing and online printing a cinch for users is giving sleepless nights to professional print houses across the globe. 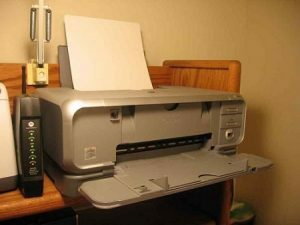 Cost effectiveness: Modern-day printers are now within the financial reach of users. This has brought high-quality printing within offices and homes. There is no more a need to rush to a printing house for getting printing done, since cost-effective printers are now ruling the roost. 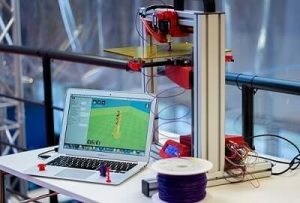 3D printing: Although 3D printing is still some way off from being commonly used, it is making fast inroads into industries that can use this technology. It is no wonder that 3D printing is set to play a pivotal role in the manufacturing process in times to come. Erasable printing technology: This pathbreaking technology was introduced by the Japanese multinational Toshiba. This technology erases incorrect material that has been printed by using a high-temperature heat plate. This saves both material and money. Sheetfed digital printing: Digital printing is growing, not only in terms of technological advancements, but also in printing sizes. Sheetfed digital printing is one such technology that has been embraced by multinational companies, such as Fujifilm, HP, Konica, Minolta and Screen. This technology will allow printing companies to print sheets that are close to B2 size, that is, 707mm by 500mm. Automation: Believe it or not, printing is moving away from printing equipment, ink and paper to cross-vendor collaboration. 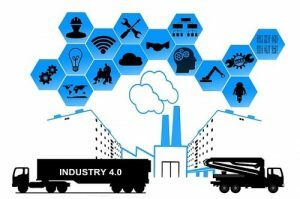 With Print Industry 4.0, different printing machines are connected by data to streamline the manufacturing process for making it more efficient and profitable. Security printing: With increased threats to the security of the organizations, the need for foolproof security printing has become of paramount importance. To this end, stringent steps are being taken for security, such as inclusion of biometrics, advanced substrates, 2D barcoding and unique links. Inkjet printing: The technologically advanced inkjet printers are moving away from electrophotographic and offset printing, what with innovative inks and improved printheads that easily print on gloss-coated paper without the need for pre-treatment. This has enabled inkjet printers to make a comeback of sorts. Substrates and jetted materials: Paper is now giving way to plastic materials and non-paper, where non-document digital printing will directly print on ceramic, glass, foil, metal, textile and wood. This has a huge potential in printing on corrugated boxes, packaging, labels, etc. Online printing platforms: This technology promises to enhance connectivity among the customers, sellers and the print shops located around the globe. By automating the job intake, the printing process will get simplified for the end users and printing facility providers. Cloud printing: This technology will allow people to make use of their smartphones and tablets for printing jobs remotely. Cloud printing service providers will facilitate connecting the users’ printers to the cloud servers. Internet of Things (IoT): This technology will enable cloud-based computing among different user industries. In this, information from the printer is sent to the cloud, where it is analyzed and then sent to the end user. What’s heartening is many new print companies have embraced these technological advancements. A case in point is the Canada-based PrintSale.ca that offers high-quality print products, such as postcards, brochures, flyers, etc. and other online printing services to all the corners of the country. The printing industry is rapidly changing due to the advances in evolving technologies. It is up to the print industry players to quickly adapt to this change and reinvent themselves, if they aim to survive and grow in this industry.